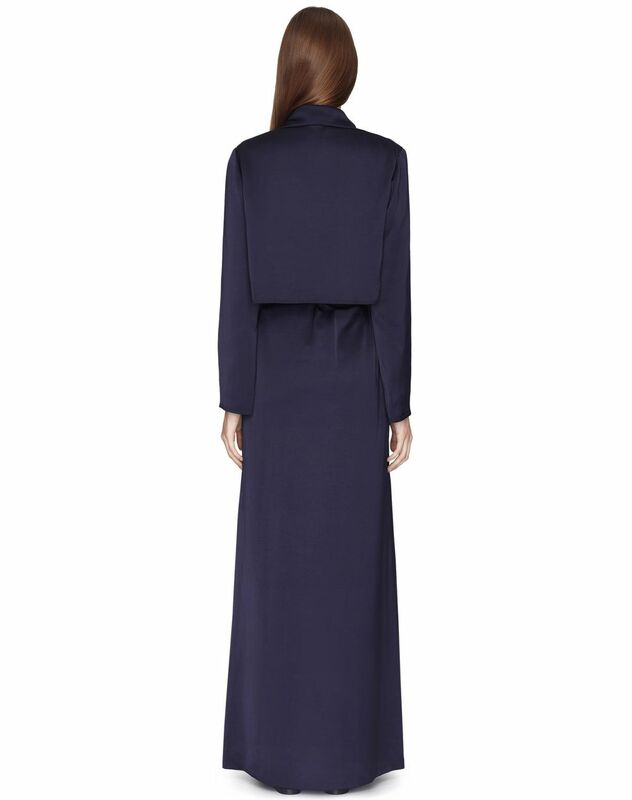 Long midnight blue satin trench coat, long sleeves, tone-on-tone topstitching, tailored collar, adjustable belt at the waist, side patch pockets with embroidered details and silk lining. 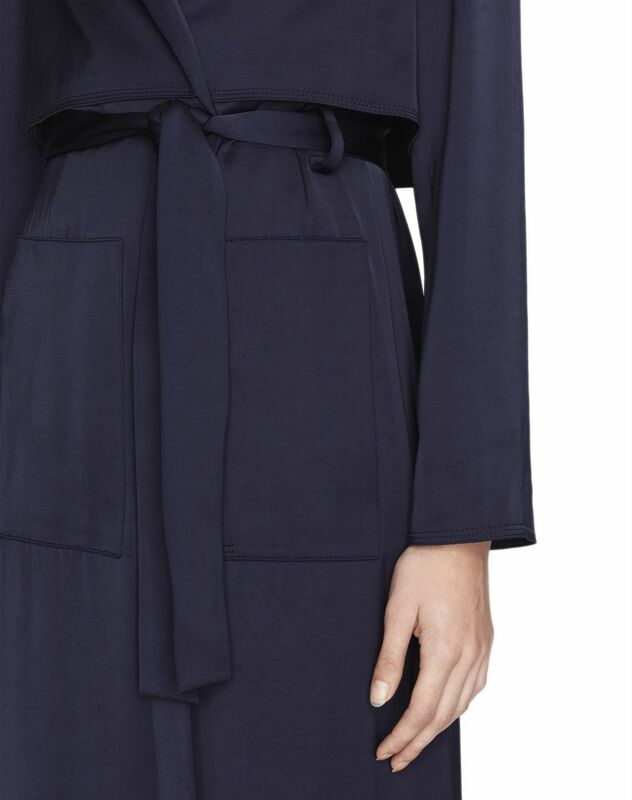 Available in an exquisite midnight blue color, this long satin trench coat stands out for its exceptionally designed cut. Luxurious embroidered details adorn this trench coat and add to the refinement of this key piece from the Spring/Summer 2019 Pre-Collection. 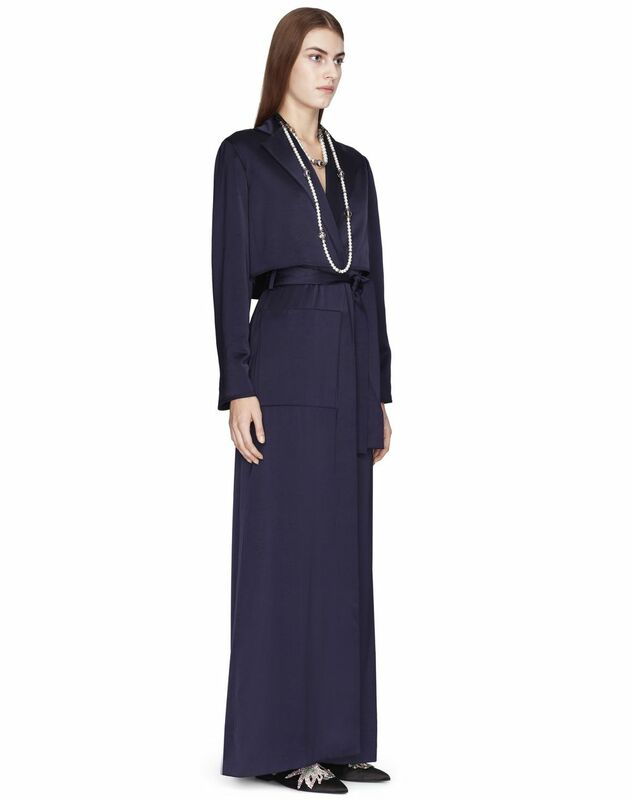 The satin look of the material adds a radiant, elegant touch to any outfit. Main material: 59% viscose weave, 41% polyester weave. Lining: 100% silk weave. Model's measurements: Height: 5’ 10” Chest: 33” Waist: 23.2” Hips: 34.6” Model wears a size 4. Made in Slovakia.